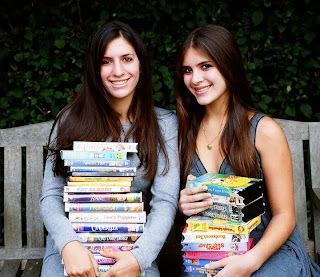 Kid Flicks was founded by the Barta sisters in the spring of 2002. They were doing some “Spring cleaning” and realized they had a number of DVDs they had either outgrown or no longer watched. A friend of theirs had recently been treated for Leukemia and they remembered she had watched movies to help pass her time while in the hospital. This inspired Marni and her sister Berni to take their movies to the Pediatric Oncology Department of the Los Angeles hospital where their friend had been treated. When they dropped off their donations, the Child Life Specialist told them that “movies are the first things kids ask for when they are in the hospital.” That afternoon the Barta sisters were inspired and decided to collect as many DVDs as possible to donate to as many hospitals as possible. They wrote solicitation letters to family and friends, and within the first week, had collected over 100 movies. Donations continued to pour in. To organize their new development, they decided that each hospital would receive a “movie library” of 100 assorted films to appeal to boys and girls, toddlers through teenagers. Donations continued to pour in. To organize their new development, they decided that each hospital would receive a “movie library” of 100 assorted films to appeal to boys and girls, toddlers through teenagers. They have now sent 32,900 DVDs to 329 hospitals in all fifty states and, recently, South Africa.